Market research firm IDC has released its worldwide sales figured for smartphones in the fourth quarter of 2009…and the results are a doozy, with smartphones moving 54.5 million units in the quarter, an increase of 39 percent from the same quarter of 2008—and four of the top five smartphone vendors set new shipment records for the quarter. For all of 2009, vendors shipped 174.2 million smartphones, up 15.1 percent from 2008. 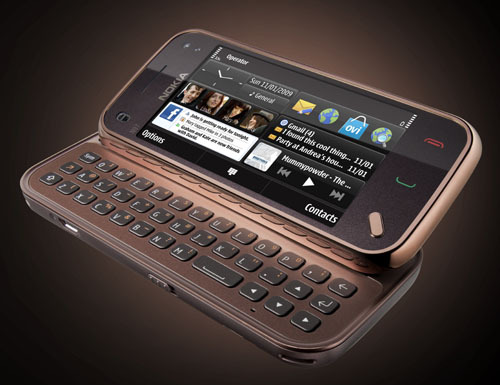 According to IDC, the top five smartphone vendors for the fourth quarter of 2009 were (in order) Nokia, RIM, Apple, Motorola, and HTC. Although Nokia isn’t a huge force in the North American smartphone market, the company still has a huge international footprint, and touchscreen devices like the 5800, N97, N97 mini, and 5530 models helped the company maintain its position at the top of the mobile handset pack—Nokia has a 38.2 global market share for smartphones, almost double that of its nearest competitor. RIM also had a great quarter shipping more than 10 million units for the first time, and Apple shipped almost twice as many iPhones in teh fourth quarter of 2009 as it did at the end of 2008. Motorola’s launch of Android-powered devices managed to put the company back in the top-five smartphone manufacturers after a year’s absence.